Please note all the transactions will get tracked at lower cashback rate, correct cashback as per category would get adjusted during validations. Oyo Rooms support tracking only on desktop site. Validation would be done on the basis of checked out dates. All sales will initially record in “Old User” slab & will be adjusted according to their respective slabs at the time of validation. Prepaid & "Pay at hotel" options are available. Any cancellation due to "No show" for Pay at hotel option will not be paid. Oyo Rooms HDFC Bank Coupons: Get flat 60% discount on payment via HDFC Bank cards. The offer is valid for bookings made from 15th April 2019 to 30th April 2019 (both days included). The offer is valid for check-ins till 30th June 2019. This Offer is valid only once per user during the offer period. Get Flat Rs.1000 Off on Bookings Over Rs.1900. Use Coupon Code at checkout page and get the discount. Limited period offer. Now get Flat 60% Off on Oyo Rooms Bookings. Offer is applicable for select users only. No minimum booking amount. Limited period offer. OYO Rooms Cashback Offers: Offer valid for bookings made till 30th June, 2019 for check-ins till 30th June, 2019. Discount – On use of promo code “OYOSUMMER50”, you will be entitled to a discount of flat fifty percent (50%) of the booking price. Oyo Rooms RuPay Cards Coupons : Please note the bookings made using this coupon code cannot be modified. The voucher is valid for bookings and check-ins till 30th June 2019 only. This Voucher is valid for all users. Oyo Rooms Mumbai Discount Offer: Now book your Hotels in Mumbai from Oyorooms and get up to 30% discount. Choose your localities from Powai Lake, Borivalli, Powai, Wilson College, Fortis Hospital Mulund, Brabourne Stadium, Infinity Mall, Chandivali Studio, Bombay Convention & Exhibition Centre, BKC & More starting at Rs.1000 & more. Oyo Rooms Cashback Discount Coupons: Now book your Hotels in Hyderabad from Oyorooms and get up to 30% discount. Choose your localities from Nampally, Kondapur, Himayathnagar, KIMS Hospital, Asian Hospital, ICFAI, Usha Mullapudi Hospital, LV Prasad Hospital, AIG Hospital, LV Prasad Eye Hospital & More starting at Rs.1000 & more. Oyo Rooms Promotional Offers : Choose your localities from Guindy, Egmore, Vadapalani, Thiruvanmiyur, Kodambakkam, Chennai Trade Center, Ramachandra Hospital, Billroth Hospital, Kalakshetra, High Court, Vijaya Hospital, Chepauk Stadium, Anna University, VIT University, Great Lakes Institute of Management, Asian College of Journalism, Jawaharlal Nehru Stadium, Fortis Malar Hospital, SIMS Hospital, MMM Hospital, Royapettah, Kamaraj Memorial Hall, Chidambaram Stadium, Madhavaram, Royapuram, Nungambakkam, Kotturpuram, Kk Nagar, Kilpauk-Ega Theatre, Broadway, Mahindra World City, Medavakkam, Thiruvottiyur-Ennore, Nandambakkam, Navalur, Purasawalkam-Vepery, Murugan Temple, Olympia Tech Park, Padi, Arumbakkam, Padappai, Meenambakkam, Rmz Millenia Business Park, Sp Infocity, Queensland, Chengalpattu, Urapakkam, Porur Junction & More. Oyo Rooms Goa Promo Coupons: Now book your Hotels in Goa from Oyorooms and get up to 30% discount. Choose your localities from South-Goa, Palolem, Colva, Miramar, Panjim, Dr Shyama Prasad Mukherjee Indoor Stadium, Kala Academy, Dr Shyama Prasad Mukherjee Stadium, Fatorda Stadium, Morjim & More starting at Rs.1000 & more. Oyo Rooms Cashback Offers : Now book your Hotels in Jaipurfrom Oyorooms and get up to 30% discount. Choose your localities from Malviya Nagar M.I. Road, Chomu Jaipur on Sikar Road, Sikar Road Jaipur, Raja Park Jaipur, MNIT, Rajasthan University, SMS Hospital, Sawai Mansingh Stadium, Albert Hall & More starting at Rs.1000 & more. Oyo Rooms Mahabaleshwar Coupons: Now book your Hotels in Mahabaleshwar from Oyorooms and get up to 30% discount. Choose your localities from MG Road, Venna Lake & more. The OYO Rooms near the Mahabaleshwar Market are one of the best choices which also offer parking facilities and complimentary breakfast to its guests. Oyo Rooms Cashback Promo Offers: Now book your Hotels in Shimla from Oyorooms and get up to 30% discount. Choose your localities from Tattapani, Chail, Kandaghat, Shoghi, Mashobra, Khalini, Panthaghati Shimla, Summer Hill Shimla, Kachi Ghati, New ISBT Shimla, Circular Road Shimla & More starting at Rs.1000 & more. Oyo Rooms Promo Offers : Choose your localities from Kanyal Road, Circuit House Road, Gardherni,Naggar Road, Left Bank Aleo,Naggar Road, Shuru, Ghoshal CubHouse Road, Simsa, Shaminala Jagatsukh, Prini, Log Huts Area, Club House Road, Rangri, The Mall Road Manali, Aleo, Bahang, Circuit House, Club House, Gardherni, Simsa Road, Hadimba Temple, Hidimba Devi Temple, Jagatsukh, Kalath, Katrain, Log Hut, Mall Road, Manu Temple, Model Town, Naggar Road, National Highway, Near The Mall, Nehru Kund, Old Manali, Solang Nala, The Mall, Tibetan Monastery, Vashisht - Old Manali & More. Oyo Rooms Pune Offers: Now book your Hotels in Pune from Oyorooms and get up to 30% discount. Choose your localities from Swargate Vicinity, Swargate, Deenanath Mangeshkar hospital, Symbiosis International University, Auto Cluster Exhibition Centre, Vishwakarma Institute of Technology, Aundh, Balewadi Stadium, Jehangir Hospital, Flame University & More starting at Rs.1000 & more. Oyo Rooms Srinagar Coupons: Now book your Hotels in Srinagar from Oyorooms and get up to 30% discount. Choose your localities from Sonwar, Rajbagh & More. Choose your Hotels from amenities like Parking Facility, Mini Fridge, Conference Room, Banquet Hall, Wheelchair Accessible, Bar, AC & More. Oyo Rooms Promo Codes : Now Get Get 30% Off On OYO Rooms Booking. Discount Offer is Applicable when: o Booking should be made atleast 3 days before check-in. o Maximum 5 Days Stay. Offer is applicable for all users. Limited period offer. Oyo Rooms is India's largest hotel network offering standardized, inexpensive, and hassle-free stay options across 182 cities with 6500+ hotels. No matter wherever in India you book an OYO Room, you will be greeted with the same efficient amenities, the same amazing experience at an unmatched price. However, over and above all the Oyo Rooms offer available online, Zingoy can help you save some more on your holiday stays. How? Just book your Oyo Rooms via Zingoy and earn cashback on it. 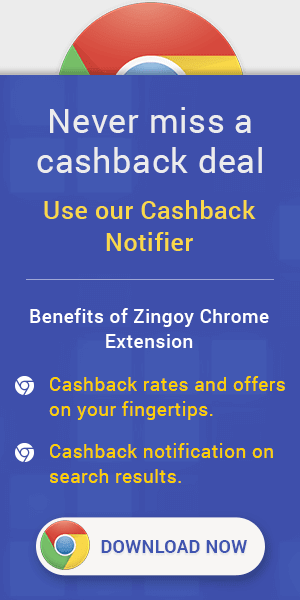 Make your own Zingoy booking link for Oyo Rooms, share it with everyone and you can earn some more cashback on every booking made using your links.